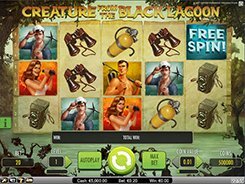 Lucky Angler is a winter fishing-themed video slot with 5 reels and 15 fixed paylines, and is one of the few slots out there based on a Win Both Ways system. Customizing a coin size ($0.01 to $0.5) and the number of coins per line (1 to 10), you can place a bet ranging from $0.02 to $150 per spin. The symbols are various fish, old boots and poker cards (10 to A). A wild symbol is represented by the Golden Fishing Lure that appears on reels 2 and 4 in a base game and stays on the reels for one or more subsequent spins until there are no more winning combos with that wild. 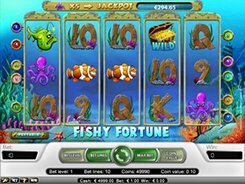 A scatter represented by the Shoal of Fish triggers 10, 15 or 20 free spins. 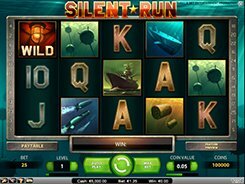 During the free spins you can benefit from Sticky Wild symbols that appear on reels 2, 3 and 4. The top three cash prizes you can win in the game are $10,000 (five Red Fish), $7500 (five Catfish), and $5000 (five Perches). 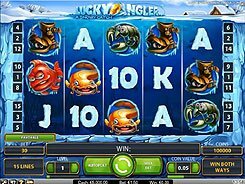 To sum up, Lucky Angler is fairly simple in features, with lucrative Sticky Wilds making the gameplay a lot more exciting and profitable.